Isn’t it crazy what the mind chooses to rack the brain about? Sometimes when I cannot sleep, I have to laugh at the silly things that keep me up at night. I can’t for the life of me understand why two lights are red at exactly the same time. Just yesterday I was sitting at one light and the light a block ahead turned green before the light I was sitting at. Think about it. If we are all stuck at the second light, who will be there to move forward when the 1st light turns green? It will never make sense, at least not to me. What are some things that leave your mind baffled? Support. It doesn’t cost much and it’s value is immeasurable. It’s the touch of a hand, a kind gesture or simply just someone checking in to ask “are you okay?” What I’ve learned is it doesn’t often come from where we expect it to. 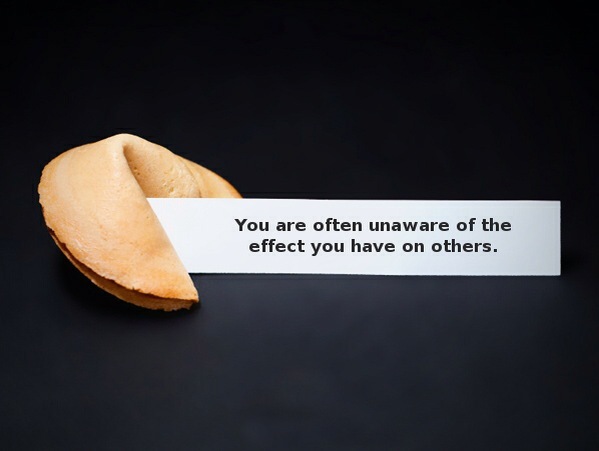 Often times the source catches us by surprise and really opens our eyes to the people who truly care about us and the ones who are solely around when there is something in it for them. Be a person who supports others. Reach out, send a text or simply do something to let someone know you care. It can really make all the difference to someone who needs it. People don’t often need your advice or opinions. They just need to know you are there if and when you really need them. Will YOU be there? Is Misophonia real or imagined? Lately, everywhere I look, I see articles about Misophonia. According to Wikipedia, Misophonia, literally “hatred of sound”, is a neurological disorder in which negative experiences (anger, flight, hatred, disgust) are triggered by specific sounds..
Do I believe it exists? Yes I do. I’m not sure that I want to classify it as a neurological disorder because I would have to admit having one. I started to notice my hatred of noise a few years ago. I noticed I was always annoyed except when nobody was home. It sounds almost selfish as I type the words but let me explain. It started with the television. I thought maybe something had gone wrong with the sound because I just wasn’t able to tolerate it for long periods of time. Add that to cell phone notifications chirping and beeping, video games in the background and possibly my daughter belting out her favorite broadway tune and I was on the verge of losing it. Then I started to notice the sounds of people chewing and smacking their lips together or biting their nails. It made me feel absolutely furious and I had no control over it whatsoever. Just today, my husband and I stopped in at the bagel place on campus. I just wanted to sit outside and feel the cool air but all I could feel was the agitation with each and every noise. I noticed the cars engine as it accelerated after the light turned green. I heard the birds squealing and the beeping noise at the crosswalk almost like it was my own heartbeat blasting noise out of my chest. I heard the toddler at the table next to me crying and having a tantrum and I just wanted to go back home. The truth is, I don’t go out very often. I think this may be one of the biggest reasons why. I have quiet at home, just the way I like it. Home is my peaceful sanctuary of noiselessness and I am so grateful to find someplace that feels quiet. Maybe that’s even the reason I gravitate towards yoga so much. I just know my dislike for noise spoils many things that I once enjoyed. I used to love to go out to eat. I loved someone preparing the meal, serving it to me for a change and then actually cleaning it up. But now? All I hear is one table screaming over the other, so many times I prefer to just get the food to go. Real or imagined, there is no doubt noise affects my life in the most negative way. Don’t get me wrong, there are some noises I love like the sound of the waves when I’m sitting on the beach or the sound of laughter coming from my kids who I love so much. I also have tinnitus so I feel like the noise is there constantly and I do my best to quiet myself internally in hopes that it will carry me through the external noises of life. What do you think about Misophonia? What are some noises that really get under your skin? Today I feel like Debbie Downer. I’m so uncomfortable in my skin. I want to escape but I’m stuck with this awful attitude with no way to change it. The good part I guess is that I am just plain uncomfortable feeling this way. I dread to think what kind of life I’d have if this was my normal. There’s always a silver lining I guess, if we look hard enough. Mine is that this will all blow through and I will be my old self again very soon. With each new day, there is the promise of something better. What do you do that helps pull you through a difficult day? As I stumble into day 7 of my son running a fever and being too sick to even sit up for an extended period of time, I can’t help but wonder how parents get through the experience of having terminally ill children. Sure, on the outside they are smiling and cherishing every second with their child but on the inside? I’m not at all comparing my situation but as a mom, I know the heartbreak that I feel when my son first opens his eyes and I ask that question. How are you feeling today? He just shakes his head no and my hopes are shattered. It’s hard to watch someone you love suffer. All you want to do is make them feel better and that is the one thing you will never be able to do. I think we take health for granted. We walk around as a society putting complete garbage in our mouths, not exercising and not generally caring for ourselves. We have this silly notion that nothing will ever happen and we are above becoming ill. The truth though is very different from what we trick ourselves to believe. We are faced with challenges throughout our lifetime. Some we cannot run away from. We just have to hop on that fateful horse, take a hold of the reigns and ride the ride. Sometimes the journey leads us to a wonderful place and other times not, but we just have to get up and keep muddling through. Chin up, sit up straight and keep on going. The fact is our health is constantly changing. We must remember that and care for our bodies and our emotional state to give ourselves the best odds of living a healthy life. When you need to rest, rest. When you are overweight, change what you are putting into your body. De stress and exercise, even if it’s a short walk around the block. Listen to the little signs and adjust as necessary. Our bodies are amazing. What they do quietly behind the scenes is truly remarkable. You only have one so take care of it. I failed miserably two nights ago. I was faced with a situation I wasn’t happy about and I didn’t respond in a way I was proud of. Lucky for me, history repeats itself and today I had a second chance. Much better attitude and response today. People will always challenge us whether they mean to or not. How we react directly influences how how we will make them feel about themselves. The sad part is usually our reaction is mostly about us and not at all about them. Breathe before you act. Think before you speak. Every word is a ripple. It touches a person directly and keeps on moving. Our moods and our attitude can spread like a peaceful, beautiful wave or the kind the knocks you on your can and violently drags you through the sand. What kind of ripple will you send out today? Pay attention. There are moments when we are powerless, when we have no choice but to sit back and wait it out. I believe these are the times we are tested the most. What do we do when we have absolutely no control over a situation? How do we handle taking our hands off the wheel and moving to the passenger seat while we are taken on a ride completely blind to where we are headed?It teaches us a lot about our character and how able we are to completely surrender to whatever the moment is going to bring. It will make us question our faith, our strength and our will to hang on believing that everything will be okay in the end. Fasten your seatbelt, it may be a long and bumpy ride.